In a research paper that focuses on Holgrave and Phoebe of The House of Seven Gables, Nathaniel Hawthorne seems to have created an opportunity for resolution of a generations-old conflict. Both of these characters, however, deviate from the traits and circumstances of their ancestors in important ways. Have Paper Masters custom write your research on Holgrave and Phoebe and explicate the characters for you. Holgrave resists the temptation to embrace the supernatural power that he has inherited. Holgrave is an individualist who refuses to repeat the mistakes of the past. Phoebe is emotionally available to the young man because she, too, is different from the other Pyncheons. Perhaps the blood of Phoebe's less than aristocratic mother has rendered her more vulnerable, less arrogant – and more appealing. Rather than exhibiting their respective families’ worst qualities, these two characters represent hopeful possibilities that derive from moderation of their ancestral traits. This Holgrave and Phoebe term paper will examine Holgrave and Phoebe with regard to their personalities, interaction with one another, and the psychological factors that drive and inhibit them. Perhaps a first step toward this understanding would be an analysis of character pairs. Phoebe is uncomplicated. She seems a Pyncheon in name only, for her rural life experiences and almost peasant-like psychological make-up offer a stark contrast to the descriptions Hawthorne provides of her more worldly and status-conscious kinsmen and kinswoman. It is difficult to isolate a particular psychological or emotional factor that might drive Phoebe. She appears guileless and innocent, yet open to the new experiences that her interactions with her relatives and the enchanting Holgrave opportune. Phoebe seems an empty vessel, waiting in hopeful anticipation for life to fill her up. The relationship between the subversive, somewhat worldly Holgrave and the innocent, inexperienced Phoebe is an interesting one. Holgrave has secrets. He is in reality a Maule, so the identity he presents to the Pyncheons is less than honest. He has inherited special powers from the Maules, yet he is reluctant to reveal or utilize these powers. Phoebe, on the other hand, seems to have no secret, unless it might be the feelings of affection she begins to harbor for the young man. In one important interaction, the boarder tells Phoebe the story of Alice Pyncheon, who was mesmerized by one of Holgrave’s ancestors. The Scarlet Letter - Scarlet Letter research papers discuss Nathaniel Hawthorne's classic novel featuring Hester Prynne. Faces of Evil - Dr. Jekyll and Mr Hyde by Nathaniel Hawthorne; My mind still clung to the image of my wife. 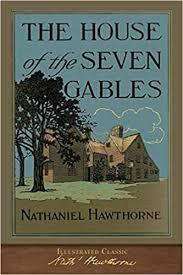 Paper Masters writes custom research papers on Holgrave and Phoebe in Seven Gables and examine the two main characters of Nathaniel Hawthorne's book.